Breathe easier with cleaner air. VOCs, dust, radon, asbestos – the list of possible indoor air pollutants is vast, and oftentimes you don’t even know that it’s a problem. Indoor air quality is typically much worse than outdoor air, with some obvious exceptions in polluted cities. But what can you do about it? Some impurities should be removed. Others can be encapsulated. Still others need ventilation to keep indoor air healthy. If you’re not sure about the quality of your indoor air, here’s what you should know. Although indoor air quality is important, there’s no definitive way for the average homeowner to determine how clean, or how filthy, it really is. That’s because there are so many different factors involved. Some impurities are particles that clog up your HVAC air filter. But some are gases that you can’t see or smell. The best route for determining your indoor air quality is with the help of an HVAC technician. He can perform air quality testing, identify pollutant sources and help devise a plan for getting rid of everything that you don’t want in your air. Your best friend could be contributing to poor air quality. One of the most important factors in removing air pollutants is filtering out bad particles and returning fresher air. That’s part of the job that your HVAC system performs. When it’s switched on, a powerful fan draws in air through a filter. From there, the air is cooled or heated, depending on the season, and it’s sent back into the home through a network of ducts. 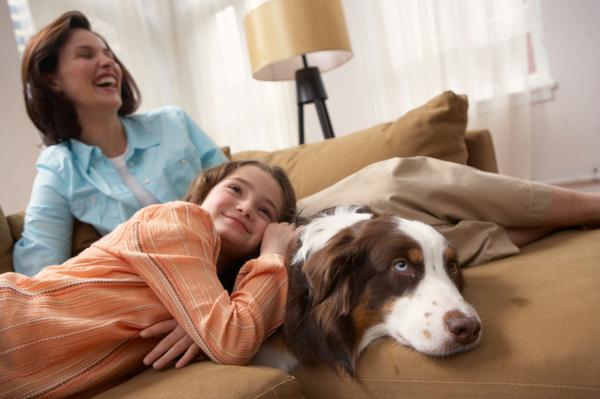 Your HVAC system can remove a lot of pollutants such as pet dander, pollen and dust. If you keep the filter clean or replace it on time, it will work more effectively, too. For homes where family members are more susceptible to pollutants, a HEPA filter might be a good choice. Check with your HVAC technician to be sure that a HEPA filter is safe to use with your system. Some of them restrict airflow too much. Forget about using a spray can of air sanitizer. If your air is really dirty, you might benefit from an air filtration system. Many of these appliances use a HEPA filter, and they work as a supplement to your HVAC system. Not only can they clean impurities from the air, they also help protect your other appliances and electronics from out buildup. Germicidal UV lighting systems add another layer of air purification. They destroy germs and bacteria, which means you breathe in less of it. For allergy sufferers, germicidal UV lighting systems offer genuine help. And during cold and flu season, they also help your whole family stay healthier. Without a professional assessment, the only real clues that you have about air quality are how quickly your HVAC filter needs replacement and whether anyone in the home suffers from allergies or frequent colds. But for determining the level and type of pollutants, you need a pro. That’s especially true for issues such as cancer-causing radon, which you can’t see or smell, and comparably hazardous asbestos, which is in many ceilings and floors. Set up an appointment online today with Rodenhiser and learn more about indoor air quality and what you can do about it. We’ll help you learn which issues are present, and help devise strategy for cleaner, fresher indoor air. 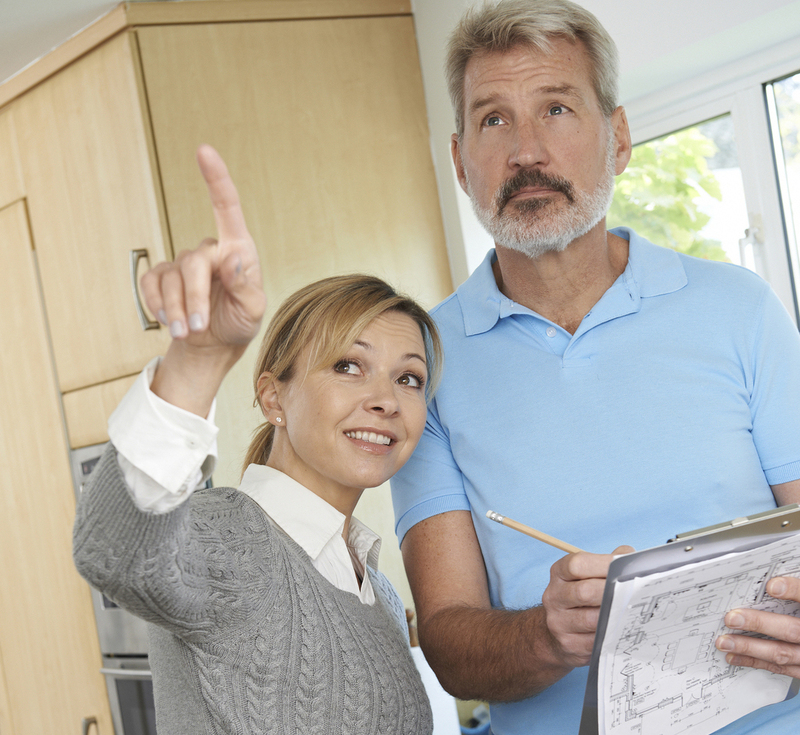 Ceiling Fan Season is Here–Is Your Electrician? With so many different fans on the market, the safest bet is to hire a professional to installed one. Some home improvement projects are fine for the average handy homeowner, but a new ceiling fan needs the attention of an electrician. There’s so much that can go wrong, it’s just not worth the risk. Aside from the amount of time that it takes to install a fan properly when you’ve never done it before, there are a number of safety hazards that you could encounter or introduce. Here are just a few reasons why you should play it safe and hire a pro. Life isn’t the only thing that’s like a box of chocolates. So are ceiling fans. You might get lucky and find wires that match up perfectly with the ones that run to the old ceiling fixture that you want to replace. But do you know how to proceed if they don’t? Ceiling fan wiring can be complicated. If the location for the fan has never had wiring before, you’ll need to branch off an existing circuit, at least as long as the nearest one can support it. If the fixture has a light and fan, the complications mount. Add in a wall switch for the fan and light, and you’re definitely in unfamiliar territory. If you want a three-way switch, which lets you control the fan and light from opposite sides of the room, you’ll probably spend a whole weekend sorting it out. Have you ever wondered why the weight and movement of a ceiling fan doesn’t make it come crashing down? Install one without the proper ceiling support, and you’ll find out how quickly it can. Fans require a special supporting bracket, plate or another device to help distribute and support the weight. The support device that you need might come with the fan. But in many cases, it won’t. That’s because the structure of your ceiling partly determines the type of bracing that you’ll need. Choosing the right one, and then installing it the right way, determines whether your ceiling fan will perform like it should or come loose and pose a hazard. An electrician knows the safest way to install your new fan, and he’ll do the job professionally the first time. Most people know to switch off the breaker before handling household electrical wiring. But more than a few have gotten a blistering shock because they switched off the wrong one. Combine a hot wire with standing on a ladder, probably with at least one metal tool in your hand, and you’ve got a perfect recipe for serious injury. Unless you already have plenty of experience or want to commit the time to learning more than just the step-by-step instructions for installing one fan, the safest approach is to let a professional do the work. The risks are greater than the potential injury to yourself. An improper wiring job is also a fire hazard that lurks inside your ceiling 24 hours of every day. According to the Electrical Safety Foundation International, 140,000 fires are caused by electricity each year. When you hand the job off to an electrician, you don’t have to worry about your safety or that of your family. With warmer weather arriving, a ceiling fan can make your home more comfortable and help you save some energy on central air conditioning. But no matter what you’ve seen on a DIY home improvement show, electricity is always best handled by someone who has been professionally trained and is licensed to do so. Play it safe and hire a pro like Rodenhiser Plumbing, Heating and Air Conditioning. Set up an appointment online today so your new ceiling fan can serve you well and worry-free. Ceiling Fan With Light, via Wikimedia Commons, public domain. What Questions Should You Pose to an HVAC Contractor You May Hire?